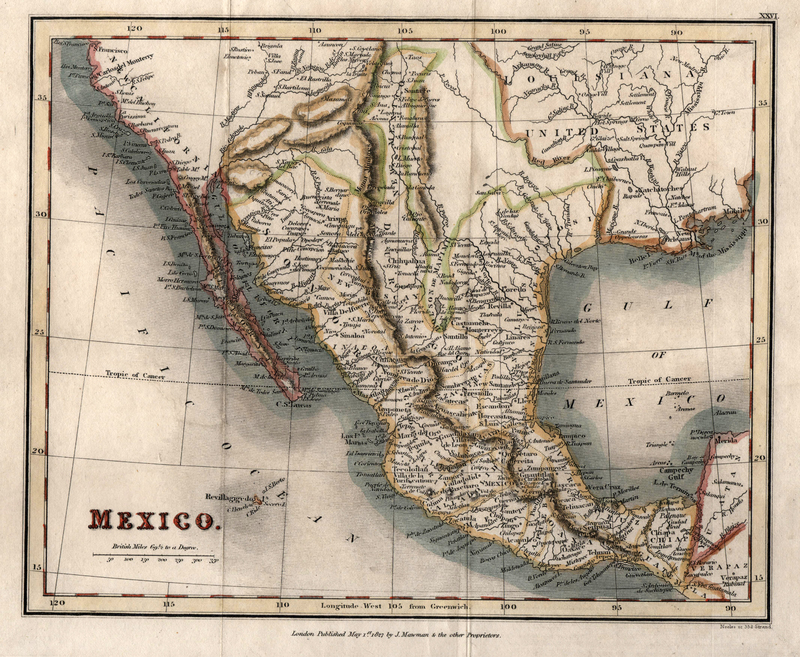 Map of Mexico, printed in England in 1827. The region of Texas between the Red River and the Pecos (Puerco) River is shown as mostly empty space, since the region had not been mapped. The map also mistakenly identifies the Pecos as a tributary of the Red.